Only a decade or so ago Deutsche Bank was one of the darlings of the investment banking world, winning headlines like “Deutsche Uber Alles” as it went around the globe gobbling up rivals and eating up market share. Deutsche Bank is back in the news but now the headlines carry apologies for past misconduct. In what can only be described as a sensational mea culpa, the bank recently took out full-page adverts in ten of Germany’s top newspapers, apologising for the damage caused by its ongoing legal problems relating to US mortgage-backed securities sold in the run-up to the financial crash. The bigger question is whether the bank’s grovelling will make a jot of difference to improving its corporate—or, indeed, public—reputation? You can say that again. The legal problems Cryan refers to were a whopping settlement with the US Justice Department over its handling of mortgage-backed securities, which included a $3.1bn civil penalty and $4.1bn in relief to homeowners—a settlement that pushed Deutsche into the red. Adding insult to injury, Deutsche was also fined $629m by UK and US authorities for compliance failures that allowed wealthy Russians to move about $10bn out of the country. There was also the small matter of rigging widely used interest benchmarks. So, it’s no surprise that Deutsche made such a humdinger of an apology. But the bigger question is whether the bank’s grovelling will make a jot of difference to improving its corporate—or, indeed, public—reputation? Fitzsimmons, author of a timely new book, Rethinking Reputational Risk: How to manage the risks that can ruin your business, your reputation and you, adds that his research into past corporate disasters shows that apologies do not work unless the CEOs or leaders involved own up to the root cause of the problem. Take the “Dieselgate” fiasco at Volkswagen, where engineers were discovered to have fixed “cheat devices” to VW cars so that drivers were misled about the levels of noxious fumes. Although VW appears to have recovered for now, climbing back to beat Toyota as the world’s bestselling carmaker, the impact is far from over. VW has already taken a massive hit of €17bn and set aside $10bn in the US for compensation, but Fitzsimmons predicts there will be more court cases to come in London and Paris. Which brings us to an even more pertinent issue. Why do so many business leaders regularly destroy what appear to be strong organisations and their reputations for such short-term ambition? Are boards under such pressure from institutional investors to keep producing higher earnings that they are being forced into fiddling accounts or inflating profits? These are questions that are bugging not only corporate elites around the world but politicians too. 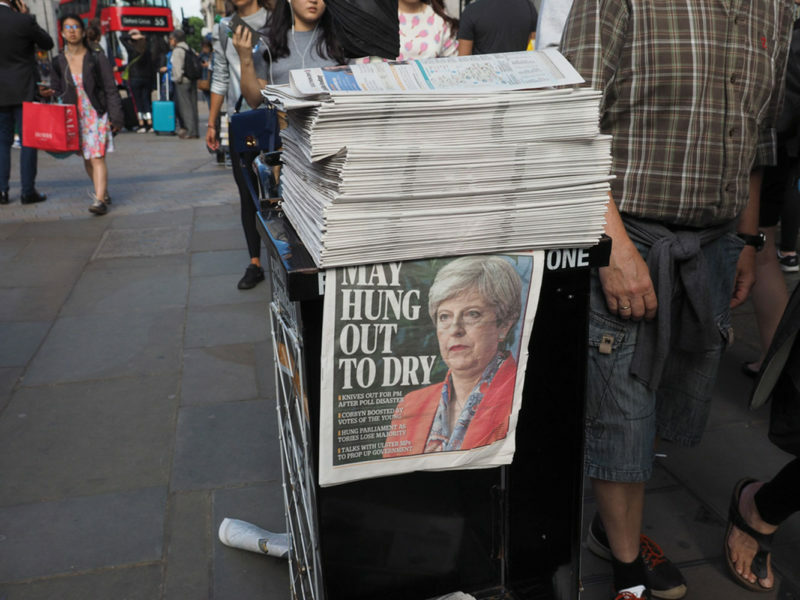 One of Theresa May’s first “big tent” speeches when she was pitching to become prime minister last summer zoomed in on the terrible reputation of many businesses and the need for leaders to work for the good of all stakeholders, and not only for profit. Much has been written about the crisis of capitalism, the growing rift between the squeezed middle and the very richest, and how this is contributing to the so-called “populist” movements witnessed in the US with the election of President Trump and the rise of far-right leaders like Marine Le Pen in France. Indeed, the whole notion of capitalism is being subjected to renewed scrutiny as corporate bosses collect even fatter pay packets while more and more workers are left without pensions or protection. So what’s new? John Spedan Lewis, founder of the John Lewis Partnership, was talking about exactly the same balance between a wider purpose and a fairer distribution of profit when he handed over the family business to his employees: sharing the profit by turning staff into partners. His quest then was to find a new “industrial democracy”, one that was neither managerial capitalism nor communism. That was in 1929, nearly a century ago. What’s making corporate leaders sit up and care so much about their reputation today is that we live in a highly interconnected world of 24/7 social media. Instant news, whether by Twitter or Instagram, means that the impact of a troublesome event, such as those that took place at BP or VW, has an immediate and devastating effect on the corporate’s share price that can be measured as never before. But there’s another reason why corporates are putting purpose as well as profit to the top of their business agendas. There is growing and genuine evidence that short-termism does actually detract from corporate performance and economic growth. Source: McKinsey Corporate Performance Analytics, McKinsey Global Institute. A new report from McKinsey & Co analysed more than 615 US companies over a 15-year period, and found that those they classified as “long term” outperformed their shorter-term peers on a range of key economic and financial metrics, such as earnings, investment, growth and economic profit. 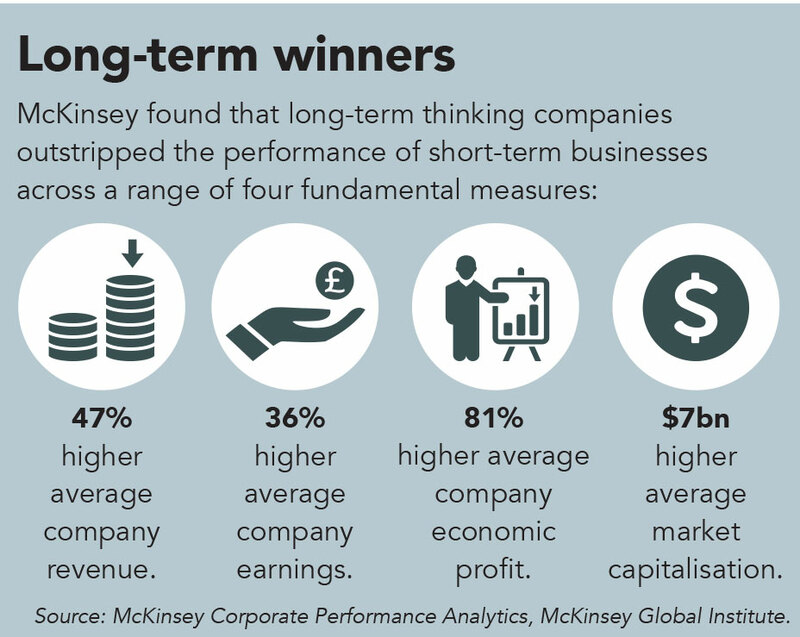 What’s more, McKinsey discovered that longer-term companies delivered up to 81% higher annual economic profit in absolute terms and that the higher revenue and earnings shown by these longer-term outlook firms was no fluke—they actually delivered more value than other companies. Looking at the value of investing for the long term is hardly new, but it has been ignored by many mainstream institutional investors in search of short-term returns. For their part, company bosses have played the game too, giving in to producing quarterly earnings and hideously complex pay packages linked to performance. 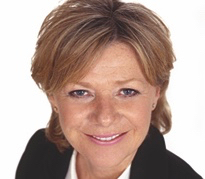 “There is a step-change in how boards are looking at a broader range of values beyond profit. Yet, the latest research shows that this may be self-defeating. That comes as no surprise to companies such as John Lewis, Gripple and the 300 others whose staff have skin in the game and they invest for the longer term. Not surprisingly, employee-owned businesses all show consistently higher levels of productivity, R&D and growth than their peers. No wonder so many corporates are now looking beyond the bottom line. A recent survey carried out by the International Integrated Reporting Council (IIRC) shows that 89% of corporate bosses believe they need to put purpose before profit, that they need to build businesses that create value for the longer term and a wider community. Neil Stevenson, the IIRC’s managing director, says there’s no doubt that a growing number of executives now see the importance of how their businesses can create value for the longer term. The IIRC advises more than 1,500 companies around the world on how they can use governance and reporting tools to measure longer-term value and break down the silos. David Herbinet, partner at Mazars, agrees that more and more companies do understand the absolutely critical value of reputation, but they also still look at how best to respond to the challenge. Technological change may be bringing changes too. Some academics argue that tech companies such as Uber and Airbnb are changing the nature of trust between the corporate and the customer. 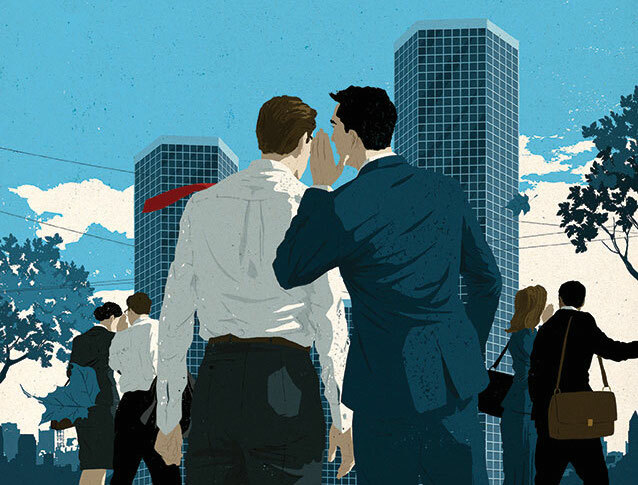 Rachel Botsman, author and visiting academic at Oxford’s Saïd Business School where she teaches a new MBA course on trust, describes this new relationship as “collaborative consumption” in her acclaimed book, What’s Mine is Yours. Hailed by Time magazine as one of the “Ten Ideas That Will Change the World”, Botsman calls this new collaboration between corporate and customer one of “distributed trust”. Cynics might say that all these latest obsessions with corporate reputation are just another PR fad—a polished-up version of the trend for corporate and social responsibility that has swept through boardrooms over the past decade. They are wrong. If in any doubt, take another look at Deutsche Bank. Over the past five years the bank’s share prices have plummeted, and its market value has nearly halved to €25bn. And that’s not just because of the cyclical nature of investment banking, nor the heavy fines. So, what should companies such as Deutsche be doing to ensure that such gigantic mistakes never happen again? And if business leaders do not know about the scandals taking place further down the ladder in their companies, what should they be doing to ensure they minimise the risk of such disasters? Looking up to the clouds could provide the best clues: every passenger aircraft in the world has a black box on board. Whenever there’s any sort of accident, the box is opened and the data is analysed by experts. The experts work out what went wrong, they publish what happened and why, and procedures are changed to avoid further accidents. By taking this stand for zero-tolerance, the aviation industry over the past few decades has become one of the safest of all forms of transport. Aviation bosses created this astonishingly candid environment by acknowledging failure, and allowed an atmosphere in which everybody involved in the industry felt able to own up to mistakes and to speak out. Ironically, by confronting failure and using it as a learning tool, companies could bring themselves even greater rewards. As Matthew Syed—Britain’s former table tennis champion and author of the brilliant book, Black Box Thinking: Why Most People Never Learn from their Mistakes – But Some Do—explains so well, industry bosses did so because they knew that unless their reputation for risk-management and safety was simply the best that could be achieved, the industry would never get off the runway. If each time you fly you don’t only fear flying but know you have a pretty high chance of crashing, the reputation of the industry would be dead. Instead, the facts are there for all to see—there is a 29 million chance to one of someone dying in an aircraft accident, far lower than travelling by car or on a train. If allowing people to admit failure has proven so highly effective in the airline industry, why haven’t more of the world’s biggest corporations adopted a similar zero-tolerance approach to their mistakes? Syed says it’s because humans are hardwired to cover up their mistakes, that we are naturally defensive and rarely learn from past errors because our vision of the past is usually fuzzy. Ironically, by confronting failure and using it as a learning tool, companies could bring themselves even greater rewards. Boards need their own version of the black box, as well as thinking more outside the box. “These legacy issues have not only cost us a lot of money; they have also cost us dearly in terms of reputation and trust. There are still other matters from the past that will burden our results, but we have now settled the bulk of our major legal issues. “Therefore I would like to take this opportunity to express, also on behalf of the Management Board of Deutsche Bank, our deep regret for what happened. We would like to apologise sincerely. Serious errors were made – for example, with regard to our residential mortgage-backed securities business in the US between 2005 and 2007, about which we recently reached a settlement with the Department of Justice. In this matter, conduct at that time did not meet our standards and was completely unacceptable. Unfortunately the same also applies in other instances.